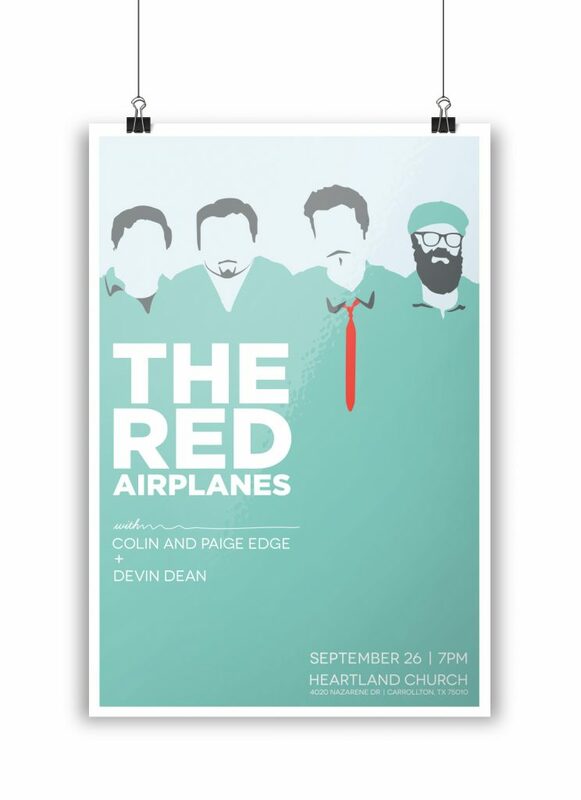 From 2013-2015, my husband (the character with the beard and glasses) played bass for a group called The Red Airplanes. I was asked to produce a poster for an upcoming local show. I illustrated silhouettes of each member of the group in Adobe Illustrator from social media profile pictures I pulled, them created a color palette that would ultimately serve to draw all attention to the red of the lead singer’s signature tie, which pointed down to the word “RED” in the group’s logo.